Note: The following story about Thomas Grisak appeared in the Nov. 3, 2017 Watchdog column in The Dallas Morning News. 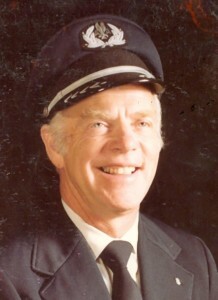 For more than 30 years as a Realtor, Tom Grisak from Allen had a spotless record with his clients. He knew of no major complaints against him. An anonymous online post accused him of being too harsh when talking to a potential client after he didn’t win a house listing. He says it’s not true. He hired a reputation management company he found online. The California company, Solvera Group, promised to handle his problem. He paid $10,800. Solvera handled it, for sure. Solvera handled his negative online post and posts hurting several thousand other worried customers in a way that should get recognized as one of the more dastardly Internet schemes of all time. The company created fake complaints and then orchestrated their removal. The company’s strategy was brilliant in its design. 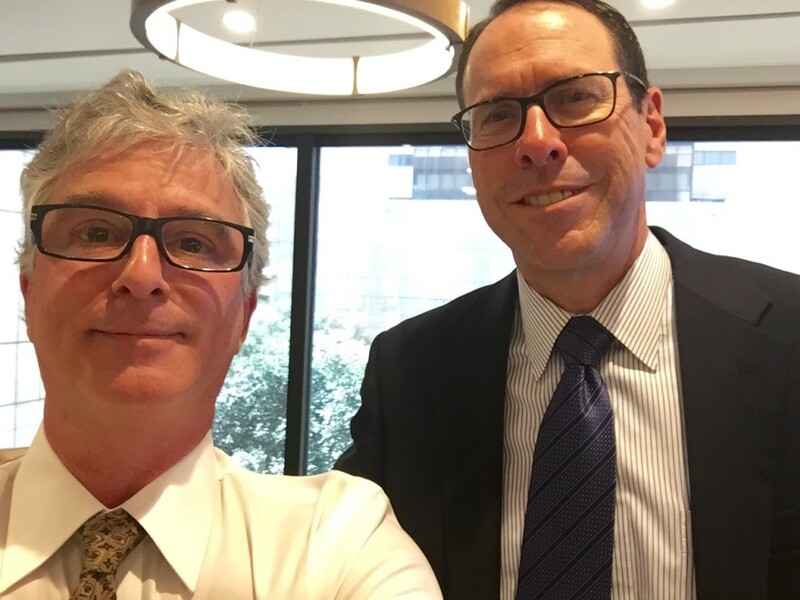 To fix negative comments, the company, run by the elusive Chris Dinota, allegedly had to fool not only customers, but also Texas lawyers, state judges and even the big dog itself, Google. All of them fell for the scheme over and over. Web pages were removed from public search. 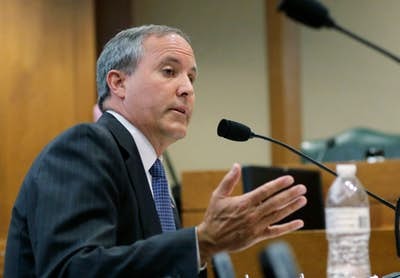 Grisak and other victims are at the center of an extraordinary lawsuit brought by Texas Attorney General Ken Paxton and his legal staff against Solvera. Paxton’s lawsuit appears to have helped shut down the company. Phones are disconnected, and its websites are offline. The company hasn’t responded to the lawsuit, and there’s no attorney of record for Solvera. The Watchdog couldn’t find Dinota, the president. No personal records about him could be found. And although the suit was filed Aug. 24, he still hadn’t been served with papers. He’s tough to find. You gotta hear about this crazy company. The websites said the company helped celebrities, political leaders, lawyers and doctors. The company boasted it could remove negative comments from YouTube videos, blogs, news articles, Yelp reviews and many more. After Realtor Grisak signed a contract, Solvera paid a blogger to post a second negative comment on the targeted post. Then it hired a Texas attorney to handle a defamation lawsuit against the complainer whom Solvera claimed it had identified (even though it’s the wrong person). The hired lawyer would then file a lawsuit with legal papers Solvera wrote and prepared. Lawyers involved were misled. Nobody told Grisak he was about to sue anyone. He says he never would have agreed to that. But Grisak Properties vs. Baroro is now a public record — even though that’s not his company’s actual name. Fake names were used in the fake lawsuits. The judge in his defamation lawsuit was presented with an agreement that both plaintiff and defendant supposedly liked (even though they’re actually one and the same). Judge signed a final judgment “premised on a complete falsehood,” the attorney general’s lawsuit says. 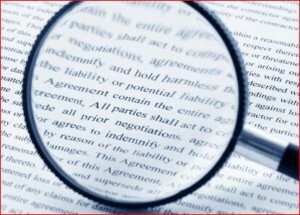 The judgment is an order to Google and other search engines to “de-index” the troublesome web page. De-index means the page is still on the Internet, but is invisible in search results, meaning no one will find it. So there you go. Judges, lawyers and Google have no idea what’s going on. And what did go on? The original complainer was never found, and the second one was a dupe. It doesn’t matter. The entire web page vanishes. There are names for the strategies employed: libel takedowns and de-indexing injunctions. But few others used these tactics as strategically as this company. Like everyone else, I couldn’t find Dinota, the disappearing ex-CEO. He didn’t know. How could he? Now he’s helping the attorney general make things right. DallasNews.com staff writer Marina Trahan Martinez contributed to this report. The surveillance state of Texas. 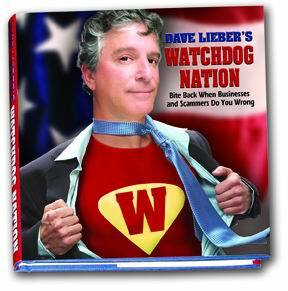 That’s what Watchdog Nation founder Dave Lieber calls the current state of affairs in the Lone Star State. 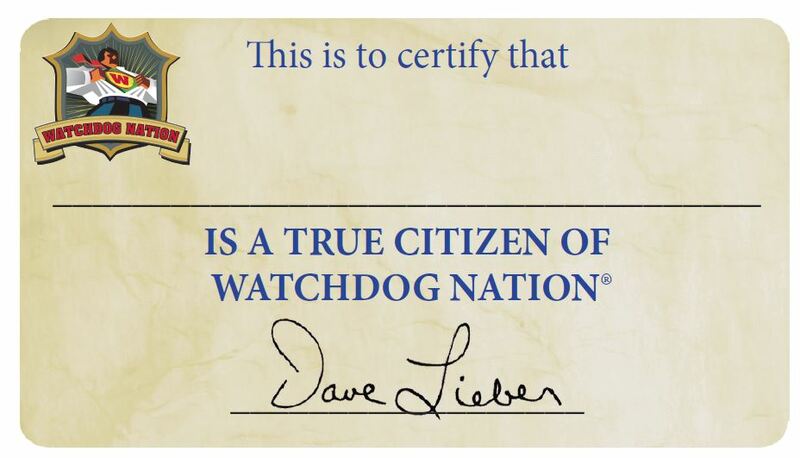 Watchdog Nation is one of the leading voices in favor of privacy rights for Texans. We exposed the Texas Department of Public Safety’s unauthorized collection of full fingerprints of every driver in the state of Texas. We led the fight to stop the practice. And thanks to House Bill 1888, the practice is ending. We also revealed for the first time the sweetheart, no-bid contract that Gov. 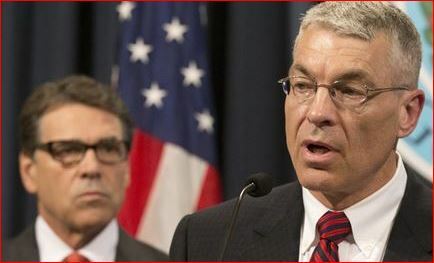 Rick Perry’s government (through DPS) secured with a firm staffed by retired FBI agents to set up a system, operated by retired CIA agents, that was supposed to prevent terrorism. TrapWire is a “surveillance detection system” designed to find terrorists in pre-planning stages. And we showed how DPS claimed 44 arrests were made because of the expensive TrapWire program, but actually there are none. Unfortunately for DPS, this claim was made in a warning email to state lawmakers on the eve of a Watchdog report. DPS warned legislators that The Watchdog’s report on TrapWire could be inaccurate. Turns out it was DPS who made the error. Now, collected in one place, see the actual stories from Dallas Morning News Watchdog columnist Dave Lieber and Marina Trahan Martinez in which they show piece by piece the surveillance state of Texas. Catch up here. Read all of our reports, which won top prizes in 2015 from the Society of Professional Journalists, Houston Press Club and National Society of Newspaper Columnists. The inaccurate report about its TrapWire super-surveillance fits a pattern of stonewalling and deception at the state law enforcement agency. Watchdog: Did your Texas legislator make the hall of fame? The Watchdog asked for your help to push state lawmakers into voting up or down on the Texas Department of Public Safety’s collection of full fingerprints from all Texas drivers. Find out which legislators stopped this invasion of privacy of innocent people in the 2015 Legislature. Some Texas lawmakers were angry when the Texas Department of Public Safety started taking full fingerprints from applicants for driver’s licenses and state ID cards. Watchdog: Does Texas DPS share your driver’s license pic with the FBI? Internal Texas DPS emails show agreement with feds to send driver’s license pics to the FBI. DPS says don’t believe it. The Texas Department of Public Safety alerts state lawmakers to what it expects to be critical news reports hours before the news even comes out. The former governor and Texas DPS worked with former FBI and CIA agents to set up a secretive statewide surveillance detection system. Watchdog: Is DPS ‘surveillance detection’ just plain spying? The agency works with companies that employ ex-CIA agents to conduct “surveillance detection,” not spying, officials say. The reason? “Concerns and questions” raised by “a number of legislators,” DPS said in a surprise announcement. The Watchdog suggests several new laws to protect Texans in the 2015 Legislature. 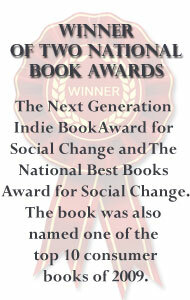 With your help, we can succeed. The Watchdog answers DPS Director Steve McCraw’s op-ed by challenging him on the back facts. A whistleblower pokes holes in DPS’ arguments. Texas state lawmakers are angry. They say they never approved DPS’ program to capture fingerprints of every Texas driver in the next decade. A whistleblower who worked for the DPS Fingerprint Bureau steps forward. The first report that DPS quietly began taking full fingerprints of all driver’s license applicants. No public announcement was ever made until The Watchdog’s revelation. 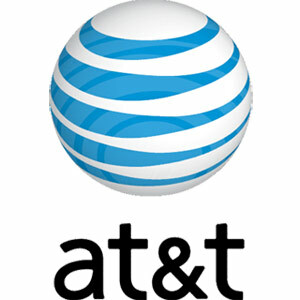 Did you get slammed for unwanted $29.95 a month credit monitoring? You can get a refund. Call me naive, but I imagined a company that tricks people into paying $29.95 a month for a credit-monitoring service they didn’t know they ordered would be headquartered in a faraway land. A company that lured people with the promise of free credit scores in big print but hid the actual cost in tiny print must be offshore, right? A company that informs surprised customers it can cancel anytime but isn’t available to take cancellations? Hidden somewhere on an island nation? Nah. Try the 8100 block of Walnut Hill Lane in Dallas. 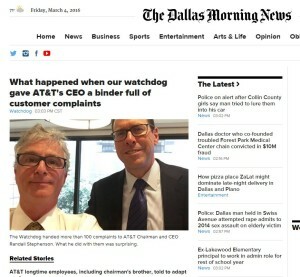 As readers of The Dallas Morning News Dave Lieber Watchdog column first learned, One Technologies Inc. is headquartered on the sixth floor of a corporate tower. I first learned about the company weeks ago after my wife, Karen, tried to get her free credit report from the government-sponsored site and accidentally ended up on one of the dozens of websites run by the Dallas company. She typed in her personal information, then pulled back when asked for credit card information. No payment is required on government-sponsored annualcreditreport.com. 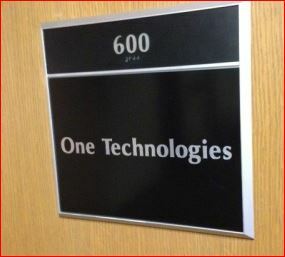 But One Technologies has gamed the Internet so its dozens of websites confuse people. The company, which uses many names including ScoreSense and MyCreditHealth, is easily found through its use of common search terms linked to its many websites. The sites’ names carry common keywords such as “free credit report” and “check credit scores.” The company also purchased click-on ads to attract users. This month, the façade of respectability disappeared for One Technologies. The Federal Trade Commission, working with the states of Ohio, Illinois and Texas, successfully brought legal action to stop the company’s sales practices. The FTC, in legal filings, reports 210,000 complaints against the company from banks, credit card companies, law enforcement agencies and the Better Business Bureau. One Technologies “participated in deceptive acts,” according to a final court order agreed to by company officials and made public this month. One Technologies must pay $22 million into a restitution fund for victims. The company can no longer hide its online terms of purchase in obscure web boxes that users must open to see. Terms must be clear and conspicuous. Frustrated customers must be allowed to cancel immediately through an available call center. Last week, I visited the company in its office tower and expected to find it shuttered. That’s what Attorney General Greg Abbott’s office promised in a news release. Imagine my confusion when I walked into the company’s sixth floor suite and found people working. That’s not the only mistake I see in this enforcement action against a company that capitalizes on customers’ mistakes. In its only public statement about its comedown, One Technologies attempts to turn a national disgrace into a crowning achievement. The company brags that it has helped “to establish industry best practices for enrolling customers” in online businesses. How nice. An established fund. Sounds like a scholarship. There’s no mention of $22 million in the company statement. This company accused by the feds and three states of deception shows in its own words that it hasn’t learned the lesson. Shameless audacity. 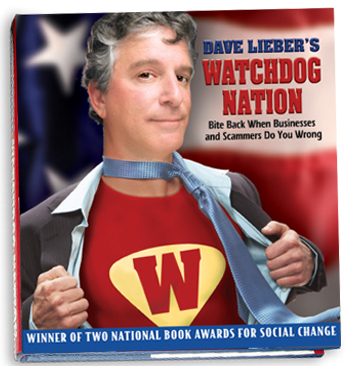 Follow Dave Lieber on Twitter at @DaveLieber. 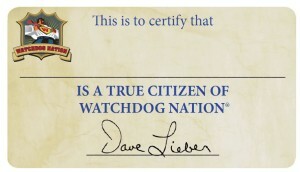 Check out The Watchdog on NBC5 at 11:20 a.m. Mondays talking about matters important to you. Get free credit reports from annualcreditreport.com. Type the address correctly.